Welcome to day 1 of 7 of the vegan challenge! How are you feeling? Excited? Nervous? Ready to try something different? I'm sure you've heard the famous saying that goes a little like this: 'a goal without a plan is just a wish'. One of the key things I discovered shortly after adopting a vegan diet was that planning goes a long way in keeping me on track. This could take the form of making sure I source and stock all the staple food items I need at home so I'm not left fretting about what to eat or how to create a nutritionally balanced plate. Whether it's eating in or eating out at a restaurant, being prepared will always help you stay focused on making the best food choices for your health and well-being. As time goes by, of course, preparing meals and choosing places to eat at become second nature and there is more room for spontaneity. To make it through the 7 day vegan challenge with as little hassle as possible, you might find it useful to take pen to paper and plan out your meals for the week. If you've gone ahead and bought the items on the suggested shopping list I shared in the previous post then you'll probably feel more at ease knowing what you're going to do with all those groceries in advance. Below is a suggested meal plan based on some of the recipes featured on this website (including snack and dessert options), but if you're in a brave mood then feel free to ignore it and do your own thing. Whatever works! You're right that preparation and planning is the key to success when it comes to eating well. I struggle with this but I have no excuse (except laziness!). 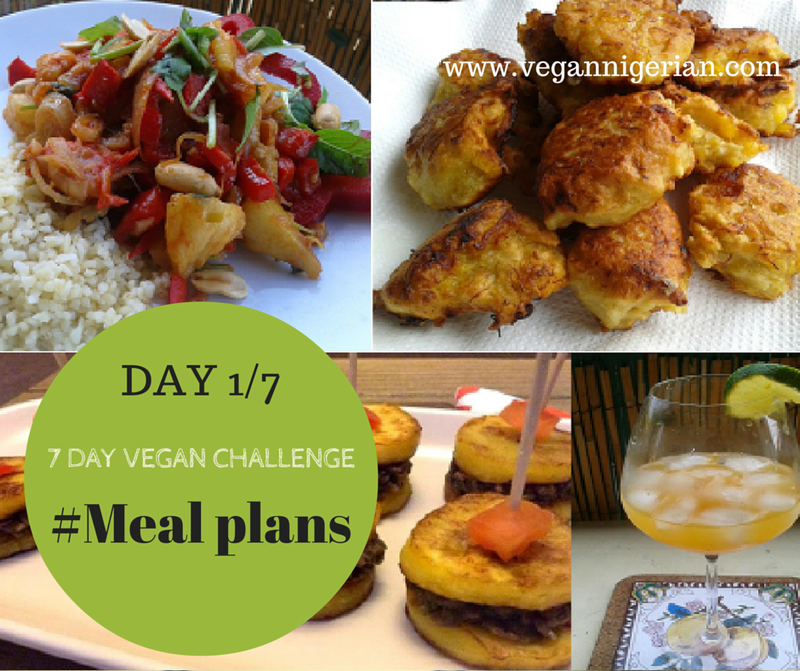 © Copyright 2019 – All rights reserved - Tomi Makanjuola - http://www.vegannigerian.com. Powered by Blogger.